Get inspired by our range of active adventures, exciting expeditions and unforgettable journeys across the globe. Each of our trips are created with passion by people who specialise in the places you want to visit, featuring innovative trips, classic adventures and remote itineraries designed to get you deep into the heart of a country. Simply fill out the form below to order our latest brochures and in no time at all, you’ll be holding the whole world in your hands! Our brochures are also available for you to view online or to download to your computer, mobile or tablet. 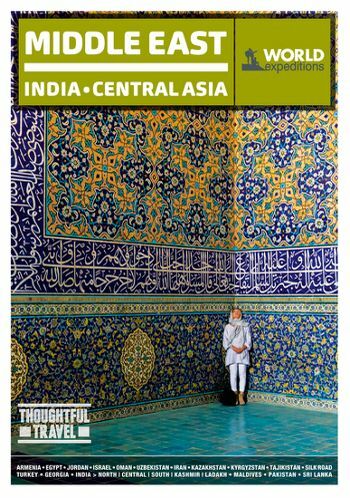 From Marco Polo to the Mughals, the vast lands, intriguing potpourri of cultures and remarkable assortment of vibrant cultural legacies across India, Central Asia and the Middle East conjures up the names of many great adventurers, as well as iconic adventures. Travel the full length of the Silk Road, or just a portion of it, trek in Tajikistan’s remote Pamirs Fann mountain ranges or to K2 Basecamp in Pakistan, explore India or Jordan by bike, discover Israel on foot, follow in the footsteps of Alexander the Great in Uzbekistan and much more. Every itinerary is carefully thought out to provide you with a richer, more immersive travel experience which also meets our sustainable travel guidelines. Since 1975 those seeking adventure have trekked, cycled and journeyed with World Expeditions in the Himalaya, the Andes, Africa, Asia, Antarctica and Europe. 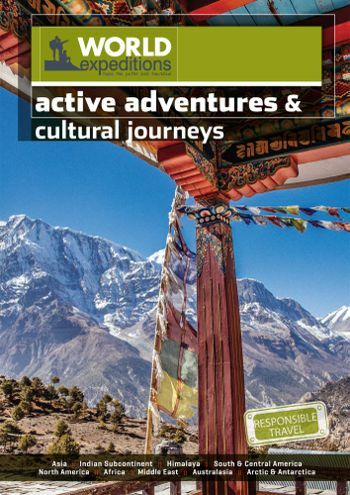 Building on this unparalleled expertise, this brochure offers you a compilation of our most extraordinary adventures, each underpinned by our highly acclaimed responsible tourism practices. Discover Europe your way with our range of guided and self guided walking, cycling, boat based and food lovers trips. Walk the last 100kms of the Camino to Santiago de Compostela, uncover Italy’s enchanting hill top towns on foot, discover Crete and Santorini’s most impressive trails, take the family on a cycle from Pisa to Florence, explore Croatia’s Kvarner Bay by bike and boat, pedal from Nice to Genoa or through the Baltics – the choice is yours! 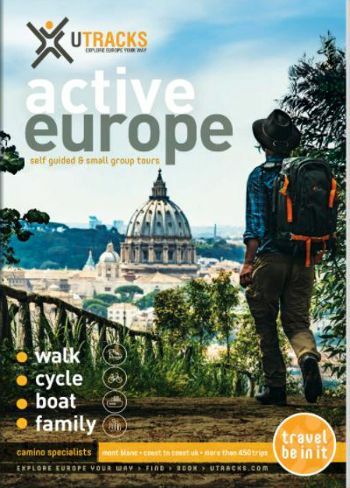 Our Europe brochure is brimming with a superb range of active experiences across 35 countries that cater to independent travellers, small groups, families, history buffs, alpine walkers and foodies alike. 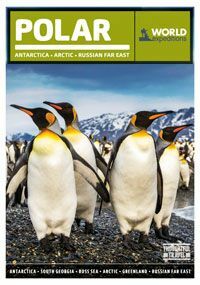 Our Polar brochure features the most diverse collection of exploratory voyages to the Antarctic, Arctic and Russian Far East. Using only vessels that carry no more than 132 passengers, these voyages will provide you with access to pristine wilderness regions that larger cruise ships simply cannot get to. Find a trip that allows you to walk, camp, climb or kayak, or even a chance to indulge in your interests thanks to expert guides, naturalists and photographers. Why waste time browsing the internet comparing all the different vessels and itineraries when you can find them all right here in our Polar brochure. Order yours now or view it online.